Chinese Automaker Will Sell $8,950 Electric Pickup Truck in U.S.
Not every American has the need for a giant Ford F-150 pickup truck. At least, that’s what Chinese automaker Kaiyun Motors is banking on. The company’s Pickman is a petite but spartan electric pickup truck that the company plans to sell in the U.S. And the price tag is only a fraction of a full-size American-built pickup truck, starting at just $8,950 for a road-legal version, according to Fox News. The Pickman will feature an advertised range of 75 miles (120 km), and its top speed is capped at a sluggish 28 mph (45 km/h) — not exactly a road-trip-worthy highway cruiser. But that’s not the point. It will be able to carry 1,100 pounds (500 kg) of cargo, which could make it an appealing low-cost utility vehicle. In China it costs just $5,700, but the U.S. version will carry the $8,950 price tag. 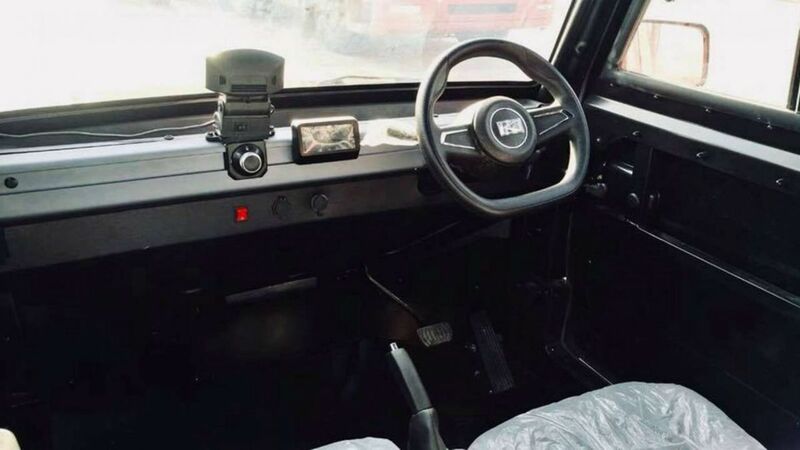 “I can imagine people in North America and Europe will use the Pickman as utility vehicles in construction sites,” auto analyst at Bloomberg Intelligence in Hong Kong Steve Man told Bloomberg. The news comes less than a month after Ford announced it will release an all-electric version of its F-150 pickup truck. Kaiyun founder Wang Fao has ambitious plans and wants to sell at least 10,000 of the Pickman trucks, according to Bloomberg. 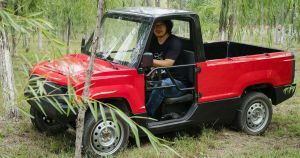 Other than construction sites, the tiny pickup could also appeal to farm owners, factory employees and even commuters. Or at least, that’s what Wang thinks.